So, What is the Process of Obtaining a Reverse Mortgage? You had the initial chat with a New Mexico Reverse Mortgage professional about your situation and you’ve decided to begin the process. So now you want to know about the process and how does a Reverse Mortgage work throughout the next few weeks. 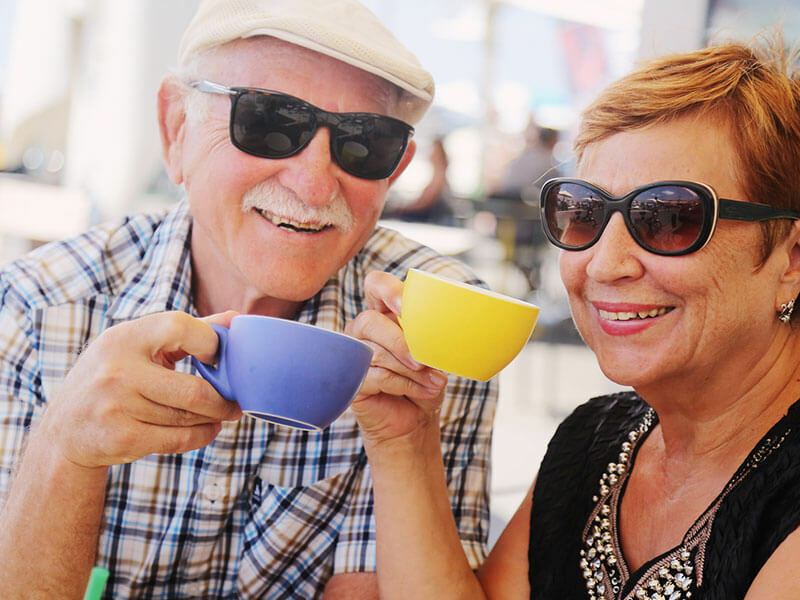 Your New Mexico Reverse Mortgage expert reviews your circumstances in great detail to help you decide (based on your lifestyle, your needs and your retirement goals) which program suits you best. We will expand your knowledge base and provide you with numbers, charts and details reference materials specifically prepared for you. Then armed with a solid understanding of the program and accurate numbers, you are ready for the HUD required counseling session! The U.S. Department of Housing and Urban Development (HUD) requires that all applicants receive third-party counseling to explain the available options and details of a Reverse Mortgage. We provide you a current list of counselors available for you to choose from. Typically you pay a fee (regulated by HUD) to a non-profit organization. The counseling session typically takes over an hour, but at the end you will be issued a Certificate. This important Certificate needs to be faxed to New Mexico Reverse Mortgage at (505) 897-0600. A list of counselors and more information can be found here. Other items may be needed on a case-by-case basis, but a more thorough list can be found HERE. After signing the application package, we are ready for the next step. The next step after you sign the application package is that we contract a Title Company to do the title search and create the binder. At the same time we place the order for the home to be inspected and appraised. *If you have concerns or are aware of issues on the title or issues an appraiser may have, you should inform us of your concerns before we place these orders so that they can be addressed prior to these expenses being incurred. Often times, your concerns really are not issues at all and by discussing them upfront, you can alleviate any anxiety. For the appraisal, you will pay an Appraisal Management Company (or AMC). This AMC will assign an FHA Certified Appraiser to inspect and place a market value on your property. Appraisals are typically charged upfront to your credit or debit card. Depending on the location of your home and other factors, you may pay more, but in the Albuquerque Metro area a typical appraisal costs about $600. On your behalf, we will place the appraisal request in to the required AMC system. An FHA licensed, independent appraiser will be assigned by the AMC. This appraiser will call you to schedule a time and date to inspect, measure and take photos and notes of your home. The mortgage companies and loan officers have little or no communication with the appraiser. After the appraisal and title work is complete, New Mexico Reverse Mortgage moves the loan moves into the underwriting department where all the documents are reviewed and finalized. The Underwriter has the final say as to the home value used to calculate the Loan. We will then typically be given a “Conditional Approval”. On this document, outstanding conditions will be listed. The majority of these conditions will be satisfied by New Mexico Reverse Mortgage internally and without needing your assistance. Occasionally, we will need your help to resolve some conditions that we simply cannot satisfy without your input. Sometimes, the Underwriter will require either a “desk” or “field” review of the original appraisal. These reviews are required at their discretion and are used to verify that the original appraisal they were presented with is acceptable. At the Closing, you will need to sign all the final documents. Most of the papers will look familiar as you had seen them earlier in the process. At this point, folks should find that the Closing Papers are a review of information. However, these are the final documents so if you have questions, now would be the time to get clarification! Generally, you go to the Title Company to sign the papers. However, if that is not convenient or possible, arrangements can be made for the Escrow Officer or a Notary to meet you at your home. Depending on the situation and location you may have to pay a fee for that extra service. Before disbursement of funds (before you get your money), there is required three-day “Right of Rescission” period that must be observed. This is a period during which you can choose to cancel the transaction. On any type of refinance (forward or reverse) of a primary residence, Federal law requires the lender to wait three business days before disbursing funds. After the loan is “Funded”, you then have access and may use the money however you wish. For the life of the loan, you do not need to make a monthly mortgage payment. However, if you wish to make a payment, you certainly can! Remember, you are responsible for the payment of property taxes, insurance and to maintain the property in a normal manner. Reverse Mortgages are due when the borrower no longer occupies the home. If death of the borrower occurs, the heirs/estate may repay the loan from the sale of the home or refinance the home. While you clearly understand how the reverse mortgage program works, your heirs may not be as well-versed on the subject. So, when the time comes, they can contact New Mexico Reverse Mortgage and we’ll guide them as to what steps they should take. When you choose New Mexico Reverse Mortgage to assist you with your needs, our job may be completed at time of Closing, but our commitment to you is for life. HECM Reverse Mortgages are insured by FHA & US Dept. of Housing & Urban Development. These materials are not from HUD or FHA and were not approved by HUD or a government agency.